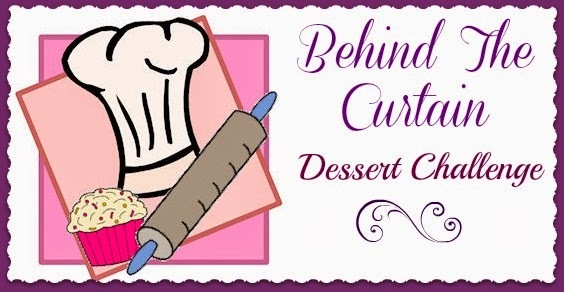 This is my first time being part of the Lady Behind the Curtain's Dessert Challenge. This month's ingredients are Cocoa and Marshmallows. Since Sam is still home from school I figured we would do this one together. This is basically a toll house cookie recipe made into bars with the addition of cocoa powder and marshmallow cream and chopped up mallomar cookies for extra yumminess. It was a little bit tricky to put together but I used my hands with cooking gloves on and everything was fine. Marshmallow creme spreads as easily as Nutella which is not easily. In a medium bowl add flour, cocoa powder, baking soda and salt and set aside. In a large bowl of a stand mixer, combine butter and both sugars. Add eggs one at a time beating after each addition. Add vanilla and combine. Fold in chocolate chips and chopped cookie pieces. Spread half the dough into a 9 x 13 pan lined with parchment paper. I put half the dough in the pan and then used my hands to press down the mixture until it was even and spread out. Next spread the marshmallow creme over the entire dough which I also did with my hands. And then take the remaining dough and spread over the marshmallow creme. This also worked well with my hands. Bake for 28-32 minutes. Take out of oven and cool before slicing into pieces. Makes about 24 pieces. I could eat one of your bars with my coffee right now, Susan! It looks like it is worth a bit of a mess. They look so tasty, I wish I could dive right in. These sure look yummy!! Welcome to the Lady Behind the Dessert Challenge, I'm sure we'll be happy to have you with such a scrumptious first attempt! Looking forward to next month! HUGS! I am stopping by from the dessert challenge. It was so fun to participate! These brownies look so rich and delicious! I am hosting Family Fun Friday today...stop by and bring your brownies if you have the time! :) Blessings! These look heavenly. I love that you used mallomar cookies~so creative!